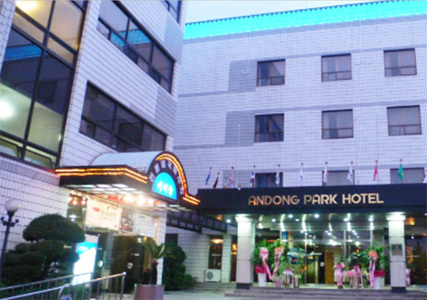 If you want to go to a “real” hotel, you should go to Andong Hotel Park. Well, if you don’t mind sleeping on the floor. Except that thing, the rooms are quite good: there is a bathroom, a fridge, a computer, a microwave, a plasma TV, a water fountain… and I probably forget some things! We didn’t spend much time in this hotel because we were with Korean people when we went to Andong. But the hotel was quite good! Be careful: if you book, you have to pay 50% of your nights in advance.